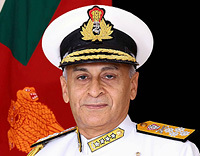 Vice Admiral AR Karve has assumed charge as the Chief of Personnel at Naval Headquarters w.e.f 24 Aug 15. 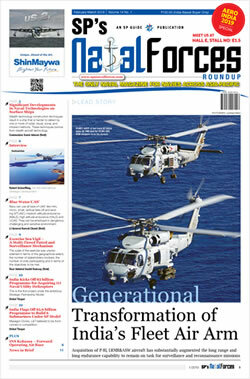 Gena Lovett is joining Boeing as vice president of Operations for Boeing Defense, Space & Security (BDS). She has more than 20 years of leadership experience in both operations and manufacturing. Raytheon Company Chairman and CEO Thomas A. Kennedy announced today the appointment of Wesley D. Kremer as President, Integrated Defense Systems, effective immediately. The Boeing board of directors has elected Dennis A. Muilenburg the company's 10th chief executive, succeeding W. James (Jim) McNerney, Jr., who held the position for the past 10 years. Shri G Mohan Kumar today took over as the new Defence Secretary, succeeding Shri RK Mathur, who laid down office yesterday. 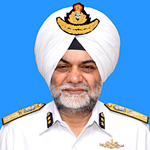 Vice Admiral P Murugesan, AVSM, VSM assumed charge as Vice Chief of the Naval Staff today (31 Mar 15). Northrop Grumman Corporation announced today that it has elected James S. Turley, former chairman and chief executive officer of Ernst & Young, to its board of directors.